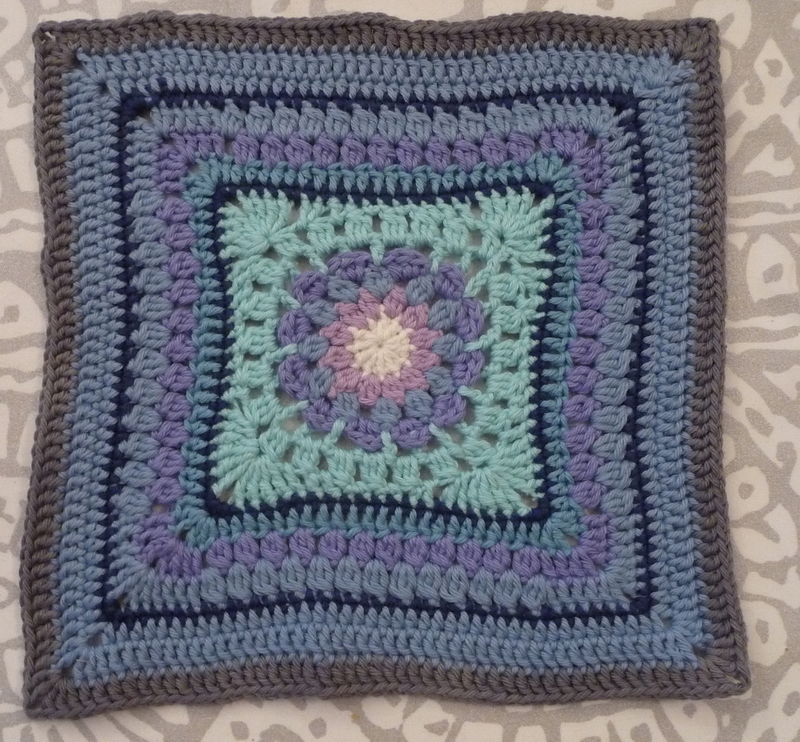 I liked this square too and don't think I had too much trouble making it. 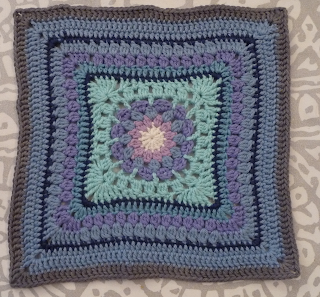 Here I got to use the new light ice blue colour we added to the blanket and I love the effect. It looks as if the ice is breaking and is cracking outwards. The same colour is used by Dedri who made the Photo tutorial for the Cal and *Kio and I love the effect. *Kio has continued her ice effect and in my square it looks as if the ice is broken and you can see the water through. Here I learnt a new stitch, the cluster stitch, a cluster stitch is where you do everything in a stitch except the last loop and carry that through to the next stitch, here we did that twice so that on the last stitch we had three loops on our hooks and pulled through. It makes a sort of crown or drop effect and I like it. Easy but effective, like many of the stitches used in this cal. Now I want to make this square again in white and ice colours, although I am not so sure I want to make a whole another afghan, but maybe I can make some of these again and make a baby blanket. 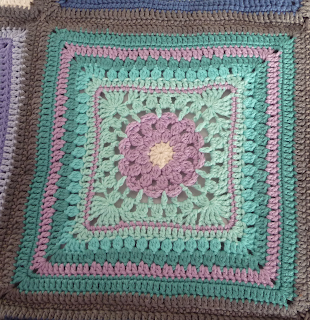 This square weighed 31 grams and was the usual 21x21 size after we added some rows.